The LWC models are made in the UK to the highest quality standards and are constructed from 304 grade stainless steel for durability and hygiene. 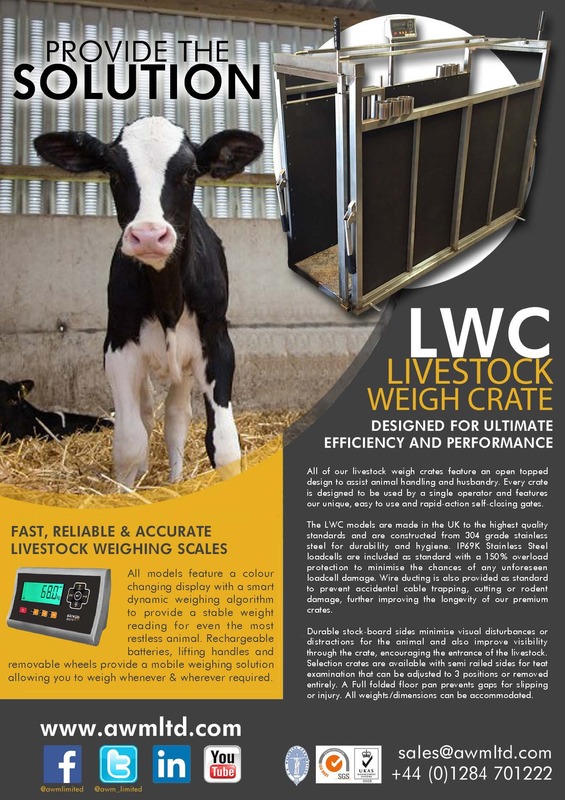 The LWC is designed by Agricultural weighing specialists with years of hands-on experience within the farming industry. IP69K Stainless Steel loadcells are included as standard with a 150% overload protection to minimise the chances of any unforeseen loadcell damage. Wire ducting is also provided as standard to prevent accidental cable trapping, cutting or rodent damage, further improving the longevity of our premium crates. The hands-on experience of our agri-weighing specialists means we understand the requirements of your industry and our crates are designed as such. Once you operate the LWC for the first time you will see that all of your weighing needs have been addressed and catered for. 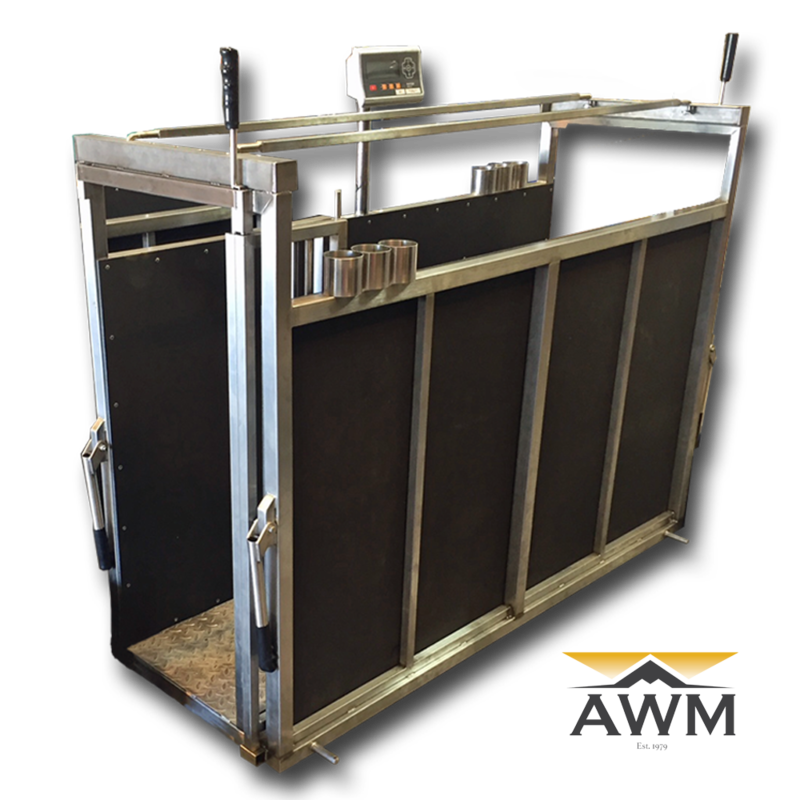 For example, all of our livestock weigh crates feature an open topped design to assist animal handling and husbandry. Every crate is designed to be used by a single operator and features our unique, easy to use and rapid-action self-closing gates. Durable stock-board sides minimise visual disturbances or distractions for the animal and also improve visibility through the crate, encouraging the entrance of the livestock. Selection crates are available with semi railed sides for teat examination that can be adjusted to 3 positions or removed entirely. A Full folded floor pan prevents gaps for slipping or injury. All weights/dimensions can be accommodated.